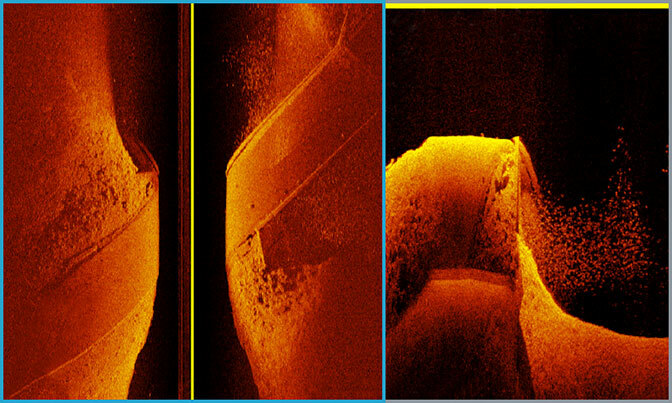 See the stunning difference in clarity between standard scanning sonar on the left and Ultra High-Definition ClearV� scanning sonar on the right. 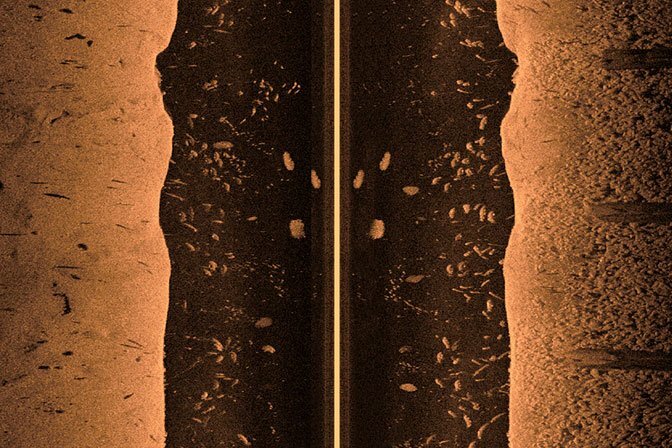 Clarity and detail are redefined with the Ultra High-Definition scanning sonar system. Using an easy-to-install, networkable GCV 20 sonar black box with an included three-array GT34UHD transducer, now you can get scanning sonar images in ultra high-definition. You see everything below and off to the sides of your boat in amazingly sharp, crisp detail. 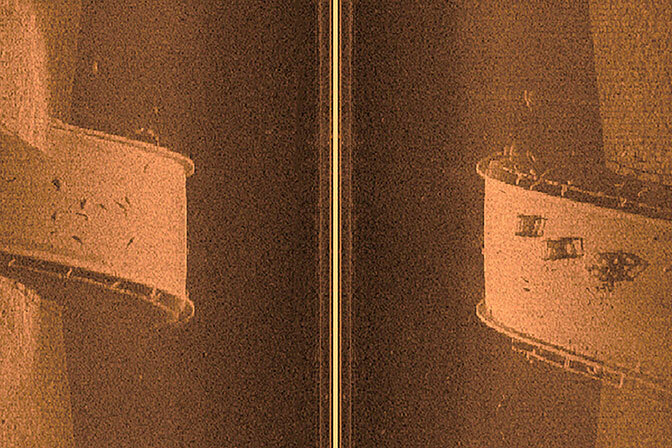 This sonar system provides brilliant image clarity of structure and fish below your boat at greater depths than other high-frequency scanning sonars by putting more power on targets via a downward-facing element. 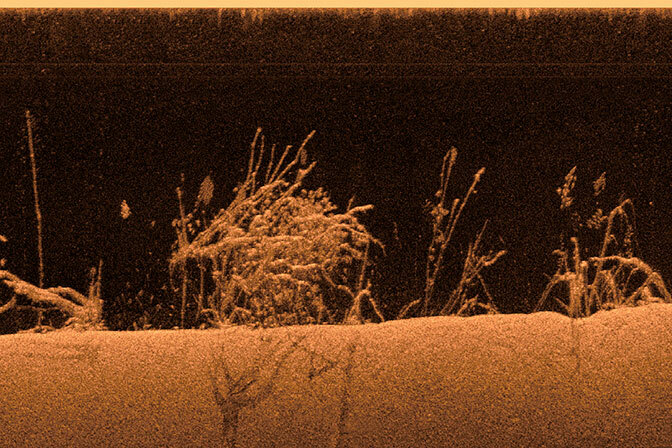 See stunningly clear images of structure and fish off to the sides of your boat. This makes it easy to scout a fishing area quickly, because you can see everything the first time with such amazing clarity. 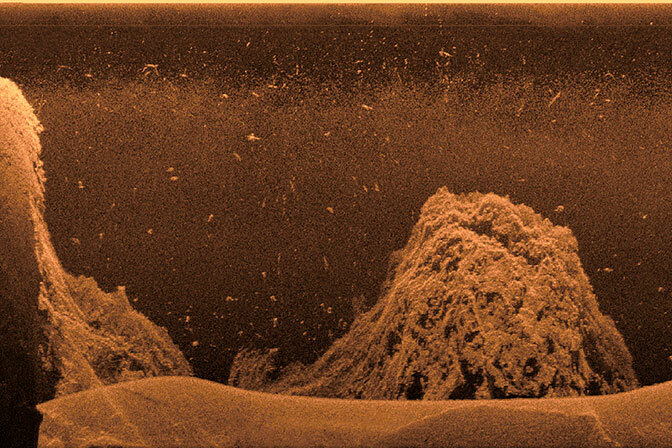 You can share your Ultra High-Definition scanning sonar images seamlessly across multiple networked chartplotters. You can also add optional Panoptix all-seeing sonar to your networked sonars.